96 mins. Rated PG for action, some peril and mild rude humor. Today, I have the pleasure of talking about the seventh-best film featuring Simon Pegg (Shaun of the Dead, The World’s End) and Nick Frost (Paul, Cuban Fury). This is the kindest I’m going to be on this. 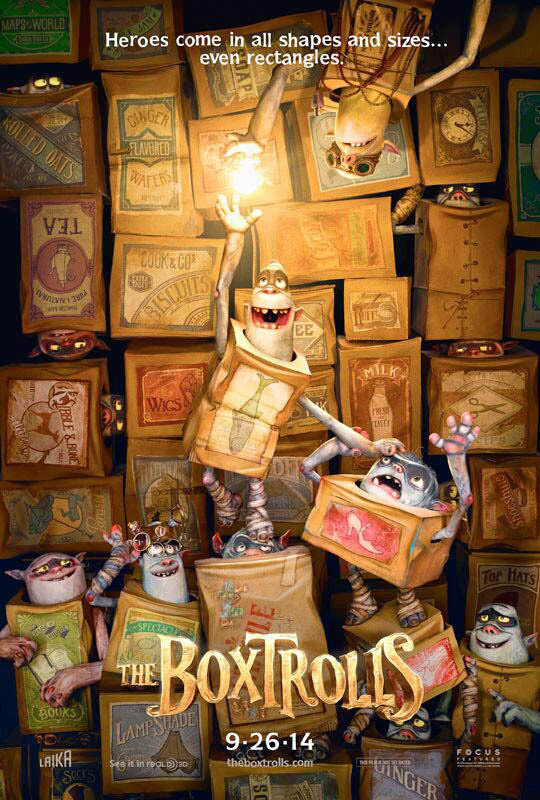 In The Boxtrolls, we get to meet…well, the Boxtrolls, a group of creatures similar to the Borrowers or the Underpants Gnomes in that they sneak up to the surface and steal objects from the humans. Also, they wear boxes. It is also the story of Eggs (Isaac Hempstead-Wright, TV’s Game of Thrones, The Awakening), a boy left in their care as a baby and raised by the creatures. Eggs heads up to where the humans reside in an attempt to keep his family safe from the diabolical Archibald Snatcher (Ben Kingsley, Schindler’s List, Dragonheart 3: The Sorcerer’s Curse). In doing so, he meets Winnie (Elle Fanning, Maleficent, We Bought a Zoo) and the two team up to save the Boxtrolls. I struggled through this film. It was tough. I kept telling myself it must get better; it was nominated for an Oscar. It didn’t get better though. The only scene that blew me away was the end credits in which Mr. Pickles (Richard Ayoade, TV’s The IT Crowd, The Watch) and Mr. Gristle (Tracy Morgan, TV’s 30 Rock, Accidental Love) discuss the meaning of life as the filmmakers construct the scene around them. It is a testament to the hard work and dedication by the animation team, and that part I will agree comes through. The animation is amazing. 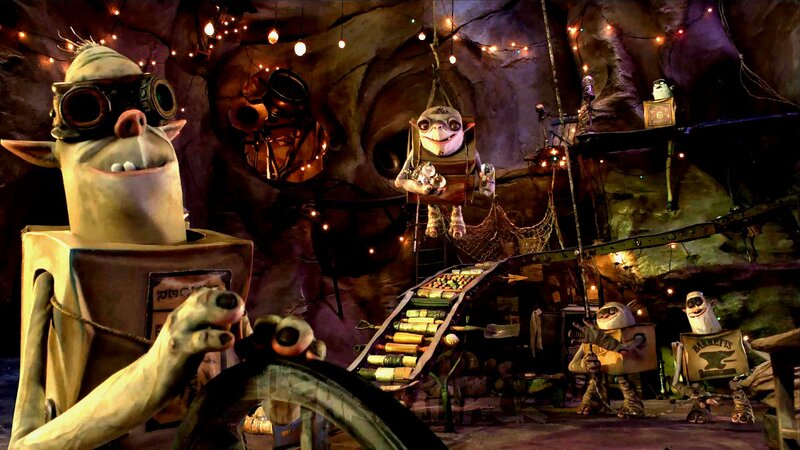 The technology has improved even upon the impressive ParaNorman. Beyond the animation and visual look of the film, there really is nothing left in this casket of a movie. The voice work is fine enough to get by, but this story just goes nowhere. It feels like someone threw several plot pieces onto the screenplay just to see if it would come off as quirky. Quirky it is. Good it is not. 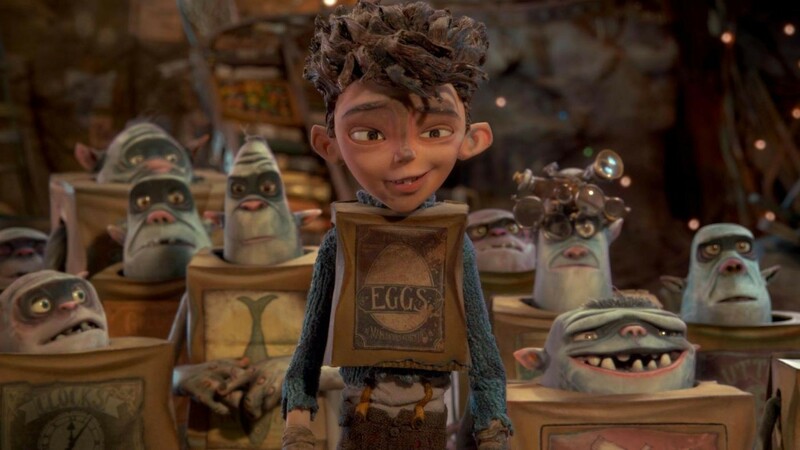 The Boxtrolls is a technical marvel indeed, yet it isn’t an animated film worthy of the statue or even really the nomination. It looks good, but like an aged cheese, it leaves an odd taste in the mouth.